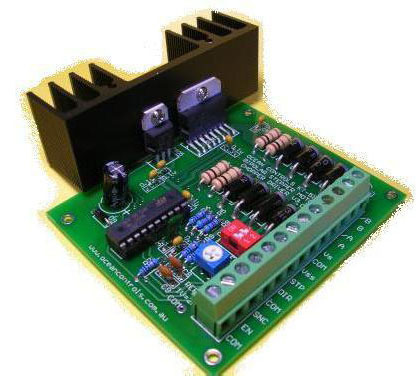 This page contains all drivers that can be used to drive DC motor, servos, and stepper motors. For our complete selection on servos, DC motors and stepper motor, please visit our motor selection page. The RxMux is a specialized multiplexer that uses R/C servo signals as a basis for input control and output signals. The RxMux allows control of 8 R/C servos from two different input signal sources. Signal sources can come from R/C receivers, autopilots or microcontrollers that are connected to the RxMux input pins. The RxMux allows control of a set of R/C servos from two different signal sources. Signal sources such as R/C receivers, autopilots, microcontrollers, etc. are connected to Input A and Input B. Standard R/C servos are connected to the Output. Switching between the two sources is accomplished by sending the appropriate width servo signal on the Select input channel (Input A, Channel 8). When a servo signal less than 1.5ms wide is detected, signals connected to Input A are sent to the Output. A servo signal wider than 1.5ms will send connected signals at Input B to the Output. When no servo signal is detected at the Select input, the RxMux will default to connecting Input A to the Output. The RxMux is best used as a component in a well planned system. By itself, the RxMux does not perform any failsafe, redundancy, or protection services. Although the RxMux will default to Input A in the absence of any Select input signal, this is not a reliable failure mode. Most R/C receivers will output some signal even when they are not receiving a valid transmission (this is one cause of servo glitches). The use of PCM receivers with appropriate failsafe programming is recommended. In most applications, an external device must provide the intelligence to determine which input should be selected and send that choice to the RxMux. Here is the dimension. 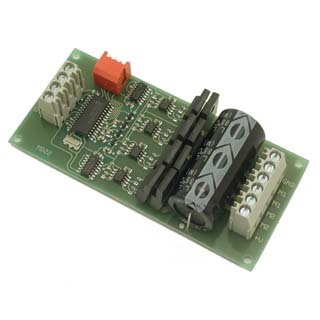 The LMD18200 is a 3A H-Bridge designed for motion control applications. The device is built using a multi-technology process which combines bipolar and CMOS control circuitry with DMOS power devices on the same monolithic structure. Ideal for driving DC and stepper motors. An innovative circuit which facilitates low-loss sensing of the output current has been implemented in this chip. 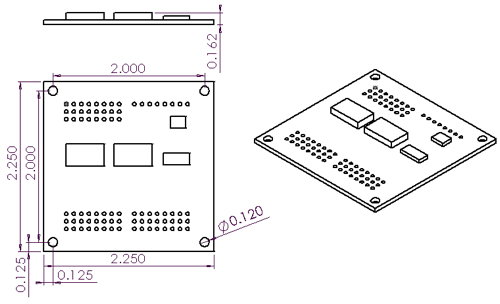 Here is the datasheet and application notes AN-694 and AN-828 . Also, check our largest selection of motor cooling fans. L293D is TWO (2) channels DC motor driver which can handle 2 motors at the same time. Each motor channel can handle up to 600mA current. Here is the datasheet . Also, check our largest selection of motor cooling fans. Pack of TWO L293D motors. Each motor channel can handle up to 600mA current. This is a great basic H-Bridge for controlling small motors at roughly 1Amp peak current. 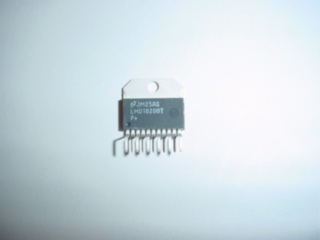 This chip is also a direct replacement for the lower capacity LM293D (pin to pin compatible). Here is the datasheet . 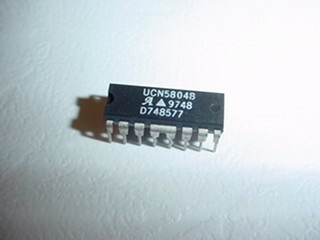 Pack of TWO SN754410 motor driver chips. A pre-programmed PIC 16F 872 driving up to 20 standard RC servo's via the I 2C bus. Supplied complete with 8MHz, 3 terminal ceramic resonator. Here is the datasheet . 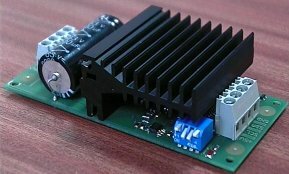 You can use it as a stand-alone high power motor driver for your system. 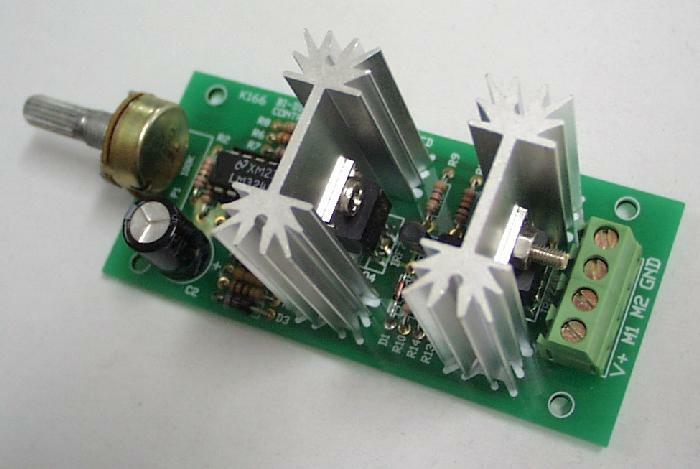 The high power H-bridge driver kit is fully assembled and tested. Pack of 2 High performance H-bridge driver above. Each L293D or SN754410 can be replaced by 4 H-BRIDGE-DRIVER for extra high power motor operation. Pack of 4 High performance H-bridge driver above. Each L293D or SN754410 can be replaced by 4 H-BRIDGE-DRIVER for extra high power motor operation. 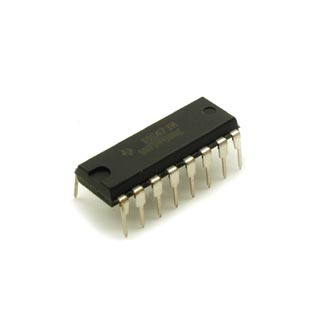 The UCN5804 stepper driver IC (16-pin) is one of those marvelous devices that replaces a handful of discrete components. The driver will operate motors at up to 35V and 1.25A . 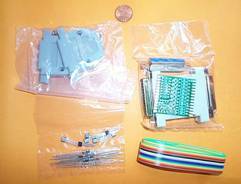 A 16-pin DIP package. Here is the datasheet . Works great with our stepper motor . 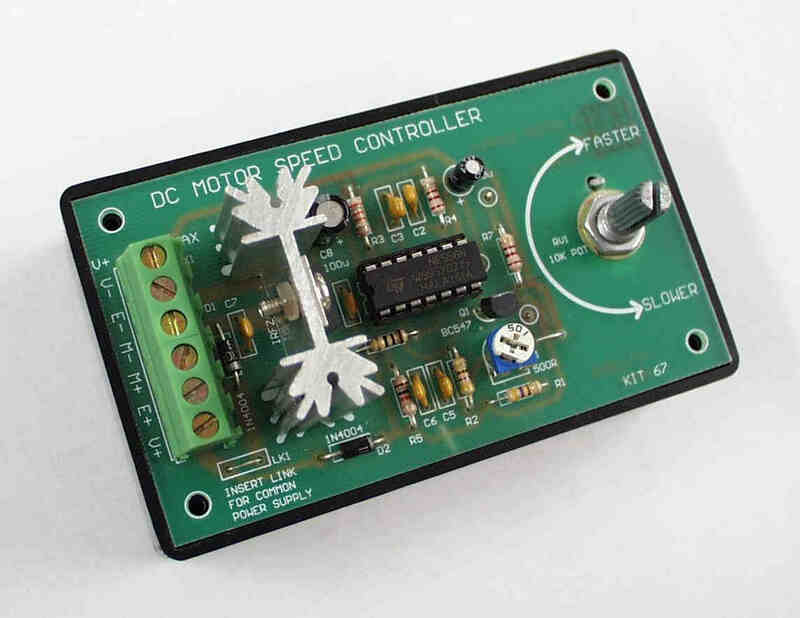 This kit allows controlling the speed of a DC motor in both the forward and reverse direction. The range is from fully OFF to fully ON in both directions.The direction and speedof the DC motor is controlled using a single potentiometer. Turning the pot in one direction causes the motor to start spinning. Turning the pot in the other direction causes the motor to spin in the opposite direction. The center position on the pot is OFF, forcing the motor to slow and stop before changing direction. The maximum motor voltage is 32V and the maximum current is 10A. Control the speed of any common DC motor rated up to 100V (7A). Operates on 5V to 15V. Uses NE556 to pulse-width modulate a IRF530 MOSFET . In this way motor torque is maintained. Adjustable speed control. Box mounted. Datasheet included. 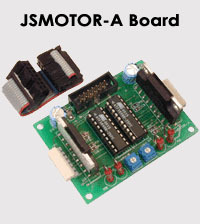 The JSMOTOR-A BOARD is a stepper motor driver board. 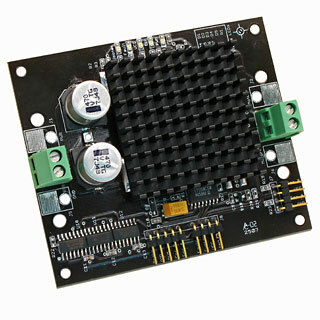 This product is able to drive two stepper motors independently. 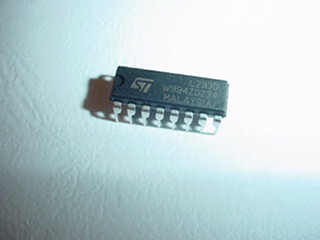 Two SLA7024M (Sanken) chips are employed as drivers, allowing 1.5A to be delivered to each motor. It has a Phase Selection option, enabling the user to select either a 2 phase or 1-2 phase driving method. It also has separate enable signals and current limit potentiometers. - Control two stepping motors independently. - Hardware of software selectable phase, enable, and directional signals. - Drive 1.5A per motor. - Current limit can be adjustable by potentiometer. - 2 phase or 1-2 phase. - Wide rage of motor power(9~25V). - Power(for logic) indicator LED. - Manual, schematic, 14 pin flat cable and HIF3F 14 pin header included. 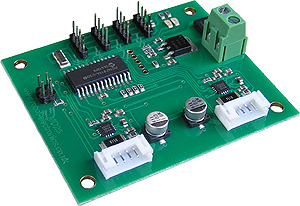 Once assembled, this Motor Driver kit gives you two DC motor control channels. Each channel has an h-bridge with 3A capacity. Bridges operate at supply voltages from 12V to 55V. 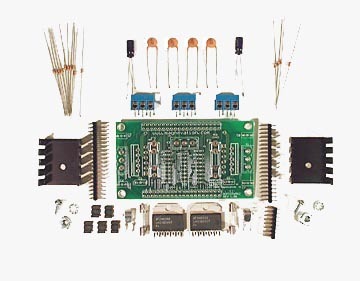 This kit contains all the parts need to make your own motor driver board. The board was originally designed as an accessory for the OOPic controller. 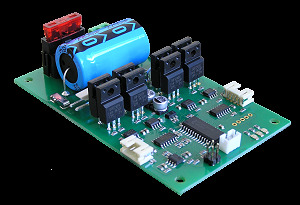 The board can easily be adapted for use with other controllers. 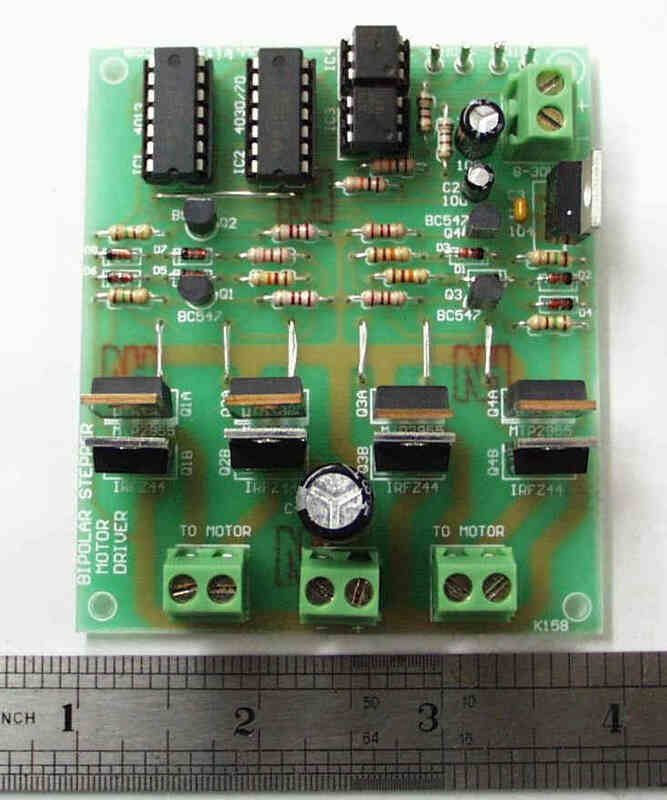 This board is designed to use two of National LMD18200 H-Bridges (included in kit) allowing for 3 amps continuous current capacity. Each module can drive ONE DC motor. 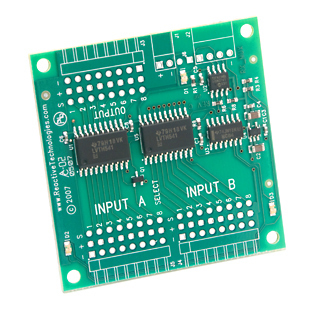 I 2C interface can be used to talk to other I 2C devices such as OOPIC . Here is the datasheet . The driver is fully assembled and tested. Also, check our largest selection of motor cooling fans. Control 3 - RC Mode - Controlled by standard Radio Control system. Direct connection to RC receiver. (1mS - 2mS pulse with 1.5mS center off). The h-bridge is designed for high load applications where efficiency and capacity are critical factors. 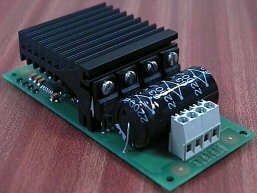 This bridge has a 15.0A continuous current capacity, can drive motors ranging from 5.0V to 30.0V. 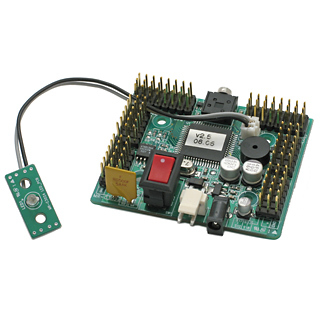 The MD22 is a robust low/medium power motor driver, designed to supply power for two motors. Here is detailed datasheet . Also, check our largest selection of motor cooling fans. Control 3 RC Mode - Controlled by standard Radio Control system. Direct connection to RC receiver. (1mS - 2mS pulse with 1.5mS center off). 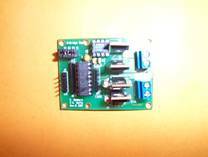 This motor driver works with EMB30 motor (gearhead motor with encoder). Here is the datasheet. 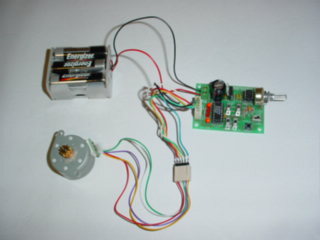 This motor driver works with EMB49 motor (gearhead motor with encoder). Designed to work with our EMG49 gear motors, the MD49 will drive two motors. Controllled by Serial Interface at 9600 or 38400 baud. Current - Up to 5A for each motor. Encoder - Processes quadrature encoder inputs of 588 counts per wheel turn from the EMG49 motor. Features Under & Over votage protection, motor short circuit protection. Use the parallel port of your PC to drive 2 Unipolar stepper motors. Software and C source code are provided. The PCB fits into RS232 plastic case (provided with the kit). A theory of controlling stepper motor is also presented. Detailed assembly instructions included. 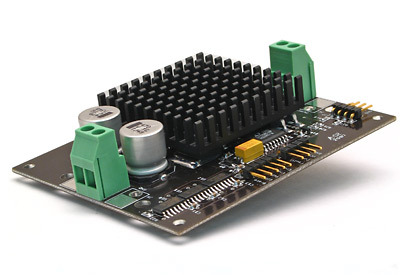 Great for PC controlled applications.Works great with our stepper motor . Stepper motor is NOT included. 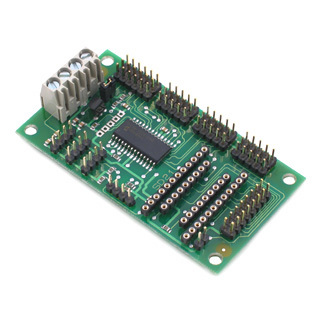 Drives any 5, 6, or 8 lead unipolar stepper motor. Change direction using SPDT switches. Chaning the speed using the variable resistor. Works great with our stepper motors . The kit can be operated in free-standing (internal oscillator) or PC-controlled (direction, step) mode. Uses IRFZ44 power MOSFETs to drive the motors. These MOSFETs have a low on resistance and can carry 6A each without needing a heatsink. Separate supply voltage for kit and motors if required. 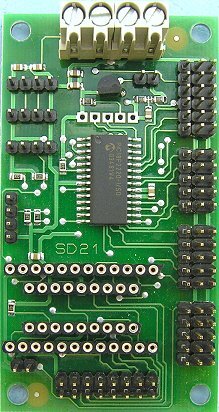 Up to six driver boards (for controlling 6 motors) can be connected to a single PC parallel port. Screw terminal blocks and solder pins for connections. Here is the Visual Basic source code and PC timer module. 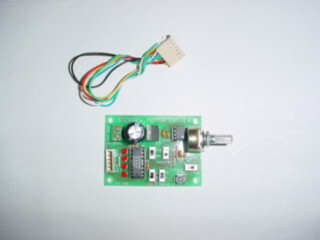 Drives any 5, 6, or 8 lead unipolar stepper motor. Uses 555 for rough positioning then single step mode for final position. Change direction, on/off, run or single step using SPDT switches. Three run modes. LED's give visual indication. The package is fully assembled and tested, and it comes with ONE (1) Unipolar stepper motor, 6 x AA size battery holder, and the stepper motor driver board. ( Battery excluded). Stepper motor is included. This kit uses a Grey switch aka bit switch or encoder switch, to single step a unipolar 5,6 or 8 wired stepper motor in either direction. That is, manual rotation the stepper motor and it will follow the speed and direction of encoder switch. 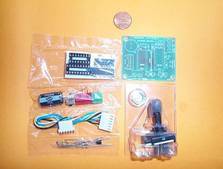 Uses a PIC16C54 plus UCN5804 stepper driver IC (included). Source code and UCN5804 datasheet included. Assembly instruction and full schematic included. Here is the datasheet of UCN5804 and the Borne Digital Rotary Encoder . Works great with our stepper motors . Stepper motor is NOT included. This kit drive a bi-polar stepper motor driver using externally supplied 5V levels ("0" or "1" logic) for stepping and direction. It can be contolled by any computer or microcontrollers. It supports up to 50V bipolar stepper motor. 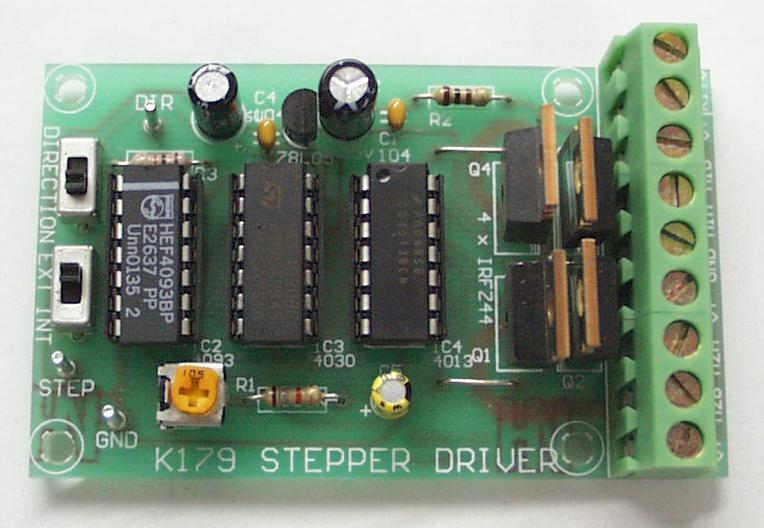 The Stepper Motor Chopper Driver is a Bipolar Stepper Motor Drive with easily adjustable current control up to 2A, based othe SGS-Thompson L297 and L298 stepper motor controller and driver IC's. 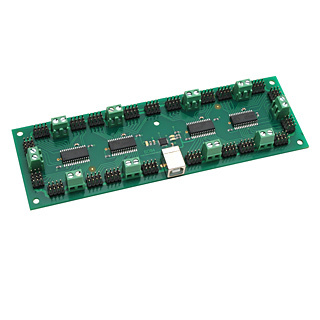 The servo controller module can control up to 21 servos. It is used I 2C for the interface. Great for inbterface to Handyboard or OOPIC. Here is the datasheet . Logic Power - separate terminals or from servo supply when 7.2v battery is used. 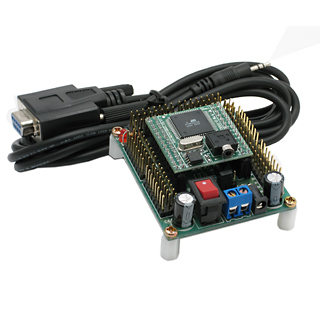 The SD84 is a USB interfaced controller for up to 84 servos, which maintains a 20ms refresh rate irregardless of number of servos or servo positions. Each of the 84 channels can be set to Digital Input, Digital Output or Servo Output. Additionally, 36 of the channels can act as 10-bit Analogue inputs, making this a great animatronics controller. Here is the technical specification. RS-Servo8 is a small pre-assembled R/C(Radio Control) servo controller, which has 16 R/C servo connectable I/O pins. It can control up to 8 R/C servos at the same time. It uses an ATmega8 (Atmel AVR series) CPU chip as a microcontroller. Technical Specifications and Product details.